On May 9, 2005, I took a picture of the Whirlpool galaxy (M51). 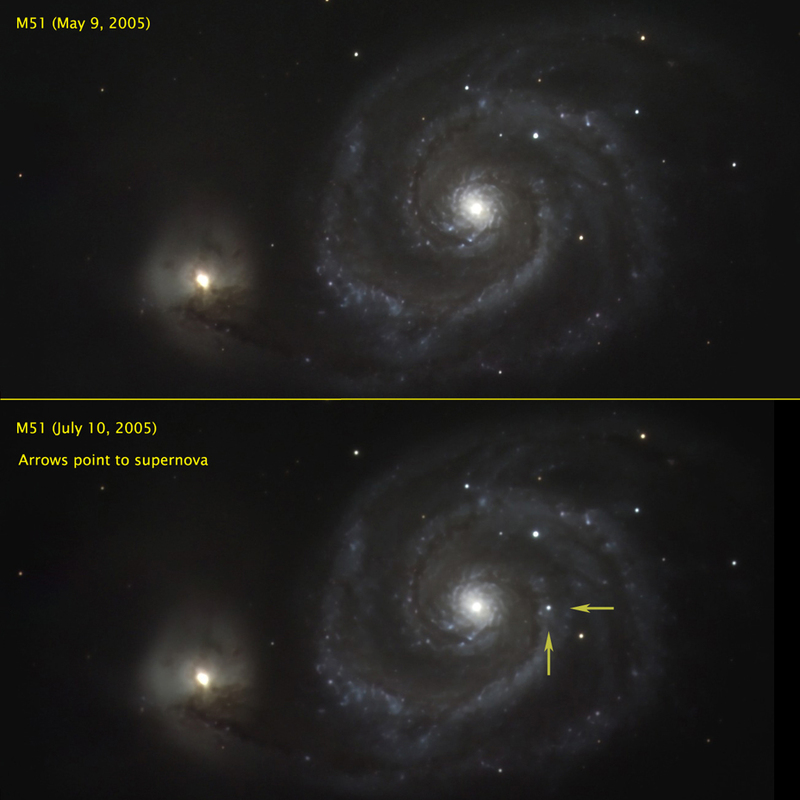 On June 28, 2005, it was discovered that a star in M51 had recently exploded creating a supernova (of course, at a distance of 28 million lightyears away, the actual explosion took place 28 million years ago---the light from that explosion is just getting to us now). On July 10th, I took a second picture with the exact same equipment to compare to the first. 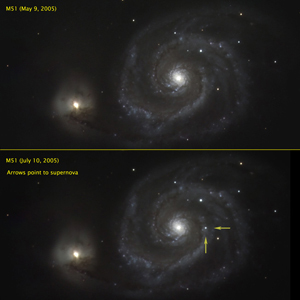 The light from the supernova is clearly evident and is marked by the two yellow arrows in the lower picture at right. The last supernova observed from a star in our own Milky Way was way back in 1604. On average, there should a supernova appearing in our Milky Way about once every 50 years---maybe once every few hundred years in our neck of the woods. In any case, we are very overdue. When the next one comes, it will be exciting.